2015 will be the year of Apple Pay, according to the firm's CEO. But will it encourage other tech firms with eyes on the financial services sector? 2015 will be the year of mobile payments service Apple Pay, according to Apple CEO Tim Cook. But will it inject energy into other technology firms with their eyes on new business opportunities in the financial services sector? Retail banks are being set up to take on established banks in areas such as current accounts, savings and loans. These companies have been buoyed by the early success of Metro Bank, which was the first new bank in the UK for 150 years when it was launched in 2010. 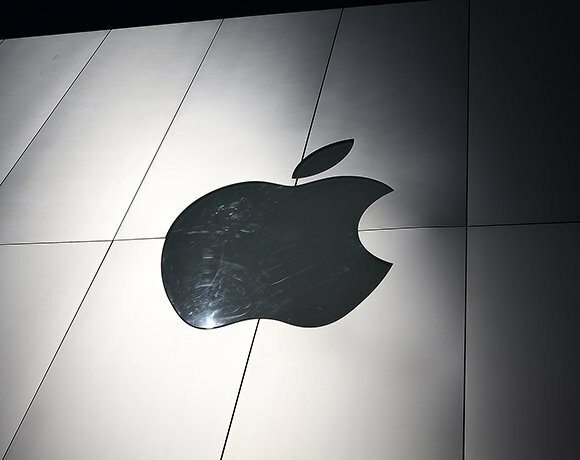 Apple's early success in payments could encourage technology companies to look closer at the opportunities they have in the huge finance sector. The tech giant reported revenue of $74.6bn and record quarterly net profit of $18bn for the quarter ended 27 December 2014, driven by record iPhone, Mac and App Store sales. But if one thing is certain about technology giants like Apple, Google, Amazon and Facebook, they are constantly looking for new revenue streams. Apple won’t want to rely on consumer addiction to its devices forever, as a challenger will eventually become a threat – so it needs to branch out. Apple Pay is one such branch. It allows iPhone 6 and iPhone 6 Plus users to pay for goods and services using a combination of the firm's mobile wallet and fingerprint authentication technologies. According to reports, Cook said Apple Pay accounted for two of every $3 spent using contactless payments across Visa, Mastercard and American Express in the US – where it was launched in October 2014. The company has more than 700 banks and credit unions supporting the service in the United States. In December 2014, an Apple job listing revealed the company’s plans to expand Apple Pay globally. The job listing, which has now been removed, was revealed by website iClarified. The advert detailed plans to expand the service across Europe, the Middle East, India and Africa. The success of Apple Pay is a sign of change in the financial services market and indicates the future role of IT companies in the sector. For example, Google has a mobile wallet and is reported to be in talks to acquire Softcard from AT&T, T-Mobile and Verizon for around $100m. Softcard enables consumers to pay for goods and services by tapping their mobile phone on a contactless reader using near-field communication technology. Facebook is seeking regulatory approval to offer certain financial services, while some banks are even making payments via Twitter. These internet giants boast high-performance IT infrastructures that process huge volumes of transactions every day. They are also used by millions on a daily basis. It makes sense to offer offer financial services where most consumer online activity is already taking place. A simple web search reveals the scale of customer bases of banks and their challengers. PayPal has 157 million active users, which is more than most banks, while Facebook has more than a billion users and holds a lot of sensitive data. Amazon boasts more than 244 million users. In comparison, Lloyds Bank has 30 million customers, HSBC has 52 million customers and Barclays has 48 million customers. But challenges remain. A study of more than 6,000 people from Bizrate Insights revealed only 21.4% of people trust Apple with their bank details. In comparison, 72% trust their banks, 48.9% trust Paypal, 45.4% trust Amazon and only 12.9% trust Google.